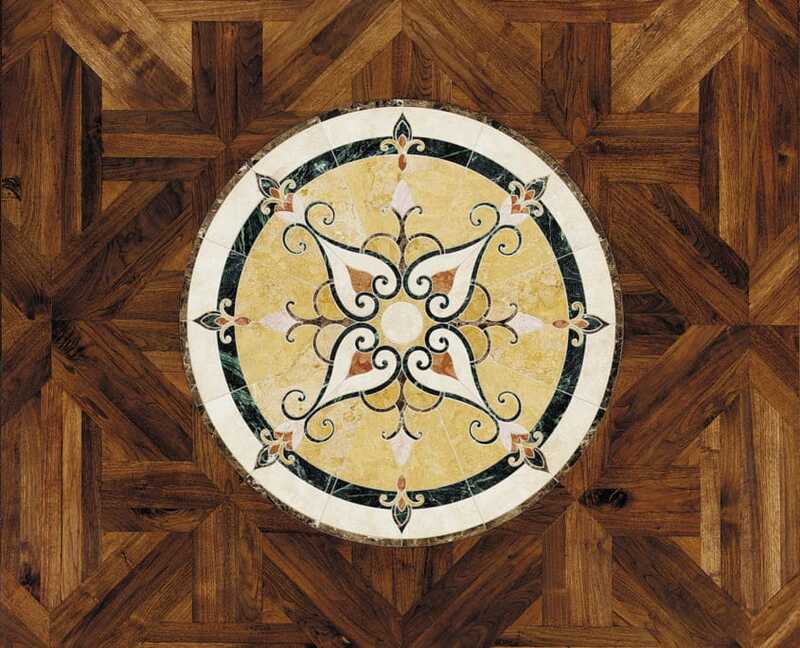 Oh, la, la. 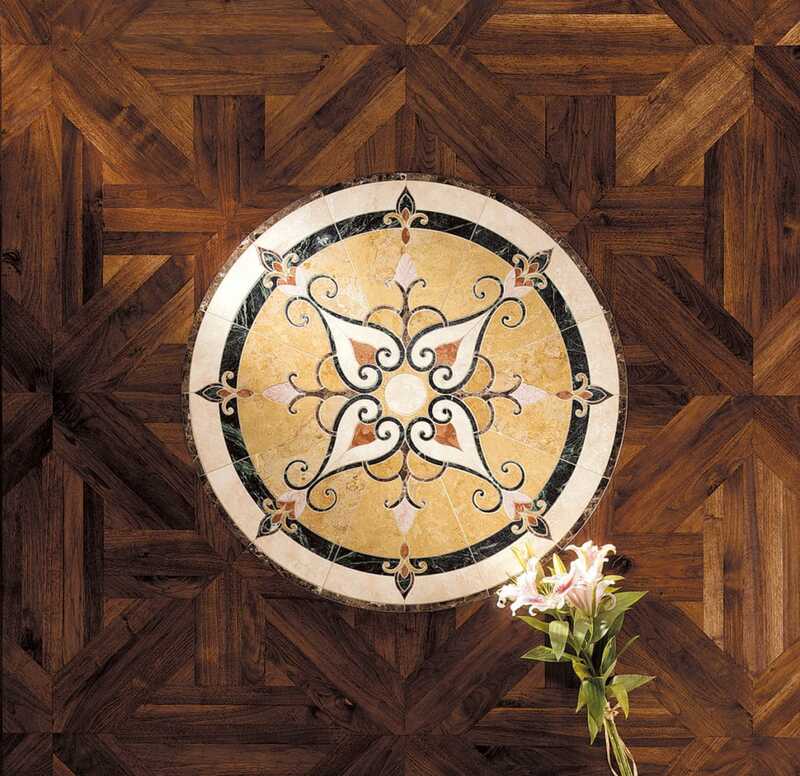 One could build a foyer around this trés chic Marseille patterned floor. 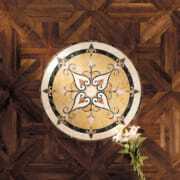 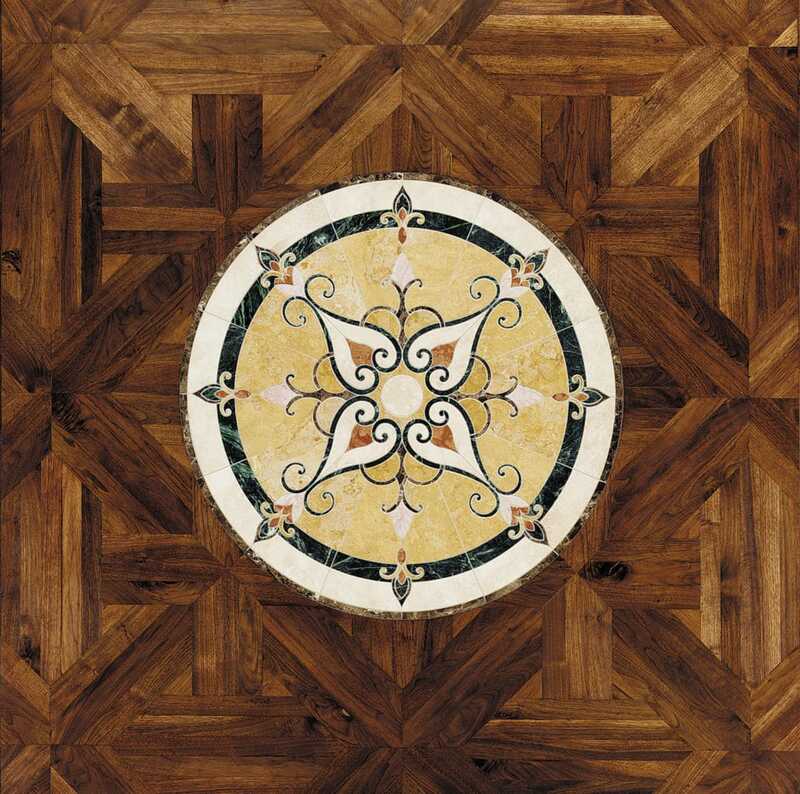 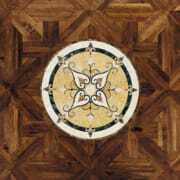 The wood is walnut, the intricate inlay an exquisite natural stone.